"An adventurous offering with much worthy of praise, not least the contribution of guest trumpeter Guy Barker." Read more on the Psychodrama website. A nice review of "Psychodrama" at FATEA Magazine - read it on the Psychodrama website. ZOO, Stuart McCallum and the Beats and Pieces Big Band joined forces with promoters the Jet Collective and Leicester's Y Theatre to present "Jazz x 3". "The Y Theatre hosted one of the most imaginative and innovative jazz performances I've heard for a long time." "First up was Stuart McCallum playing ambient style solo guitar, sometimes enhanced with electronic loops. Amazing Grace showed his musicality as he did something new with a hymn, while original Vital Space added electronic reminiscent of John Martyn. John Coltrane's Blue Train was the highlight." "Next up were Zoo. I could have listened to more of John Sanderson's reeds, and there was a moment of genius in the introduction to original Walking Not Running with Middle Eastern sounding bass clarinet and wordless vocals..."
We're sorry to report the passing away of our great friend, performer and educator, David Ives. David played and toured with us a few years ago, and he and Vera were always great supporters of our musical activities. ZOO play two sets at the delightful CafeBar Contemporary in Nottingham. A superb venue, with a great sound team, lovely staff, good food...what more could we want?! 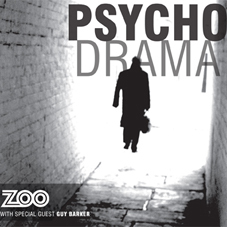 ZOO are delighted to announce that the latest CD "Psychodrama" was today launched on iTunes. Listen to the tracks on iTunes. Listen to longer tracks on MySpace. Visit the Psychodrama website. ZOO kicked off the 2010 gigging season with an invitation-only event at Norman Cross Gallery, near Peterborough, to showcase their latest material. Big "thank-yous" to everyone who came to the Gallery and made it such a great event. Pictures in the Gallery. ZOO are delighted to be part of Jazz Times Three, featuring Martin Taylor, If Destroyed Still True, and ZOO, at the Y Theatre in Leicester on 16th May 2010. Details on the Gigs page. Project #7 has a name: "PSYCHODRAMA". More stuff in the CDs Section. We've migrated the ZOO website to a new server at Easily. We now have 10x more webspace, allowing us to bring all our photography back on-site, and also to have enough space for the mp3s of the tracks on the new album. ZOO played Spice Jazz at Cambridge Circus, central London. Thanks (not really!) to Ken and Boris for the Congestion Charge (which clearly doesn't work! ), and TFL for over-zealous traffic wardens - hardly conducive to bands trying to deliver live jazz to the city. Genuine thanks to all at The Spice of Life. Viva Viva in Hornsey tonight unavoidably cancelled - sorry. ZOO played the Hockley Hustle at Escucha with Pete Johnson, The Hot Club, Jazz Junction, Squib, Mandy Tatton, Matt Chandler and Me & Mrs Jones. The whole Hustle (200 artists at 20 venues) raised over £20,000 for charity. The video for "Big Red Bus" is in Audiotube's top 5 playlist this week - view via the ZOO Video Page. We now have the timings for ZOO's appearance at the Hockley Hustle event on 25th October: we'll be playing from 9:45 to 10:15 pm. More details on the Gigs page. The video for "Big Red Bus" is topping the Audiotube playlist - view via the ZOO Video Page. ZOO play a stonking gig at the Yardbird jazz club in Birmingham. Thanks to everyone there for making it such a great evening. Plus we got a brief mention on Janice Long's show on Radio 2! We've had a great week, rehearsing with Guy Barker (who's not only an amazing trumpter, but a smashing bloke as well), (pics) and then performing at the Bonington Theatre with Guy, to a large and enthusiastic crowd (pics). Huge thanks to Tim on sound, Bob on lights, Simon and Faye for taking photos (Photos by Simon Mackney). Ahead of the collaboration and Bonington Theatre gig with Guy Barker, ZOO are reviewed by Alan Joyce in the Nottingham Evening Post - read the review on the Review Page. The video for "Big Red Bus" can now be viewed on Audiotube via the ZOO Video Page. ZOO will be playing at this year's Hockley Hustle in Nottingham on 25th October. Details on the gigs page. The weather was kind - but only just! All three of our festival appearances were blessed with fine weather - but it was a near thing. It had rained overnight before the Lichfield Jazz Festival (pics) on 27th June, but the huge marquee was pretty immune to the elements anyway. But fine afternoon weather meant the audience could spread onto the rugby pitch for 'al fresco jazz'. The MetOffice had warned of a 'light shower' affecting the private party in the walled garden at Norman Cross Gallery (pics), but instead we had a torrential downpour just before starting the first set. We were ok under our (well, Stamford RiverCare's!) marquee, and the audience sheltered in the Gallery. When the sun came out, everyone returned for a perfect summer's afternoon of music. Prolonged rain was forecast before the Stamford RiverCare gig on 12th July (pics), but our concerns that the riverside site might be too boggy, or flooded, were unfounded, and it was a perfect afternoon, albeit rather windy, and with just a light shower at one point. Such are the trials and tribulations of playing music in tents! The weather can do what it wants now - the rest of our gigs are indoors! We are delighted to announce a gig at "the hottest jazz venue in London" - SpiceJazz - on November 12th. Details on the gigs page. The video for "Big Red Bus" can be viewed on Youtube via the ZOO Video Page. 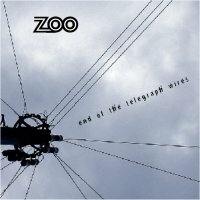 ZOO's new album 'END OF THE TELEGRAPH WIRES' is now available for download through i-Tunes and others. You can also hear samples of every track on the album website at www.endofthetelegraphwires.co.uk, and buy the CD from i-tunes, our record company (Red Admiral), the JazzCDs website, and from the Sales page on this site. More gig dates: Yardbird (Birmingham), 6th September; Stamford RiverCare, 12th July. Details on the Gigs page. ZOO continue working with ace trumpter Nick Smart at our second collaboration workshop, as part of the EMJazz "Rhythm-a-ning" project. We now have details of the two gigs which will feature Nick: 4th May at Sleaford Live Festival (The Hub), and 17th May at the Yardbird Jazz Club in Birmingham. Details on the Gigs Page. 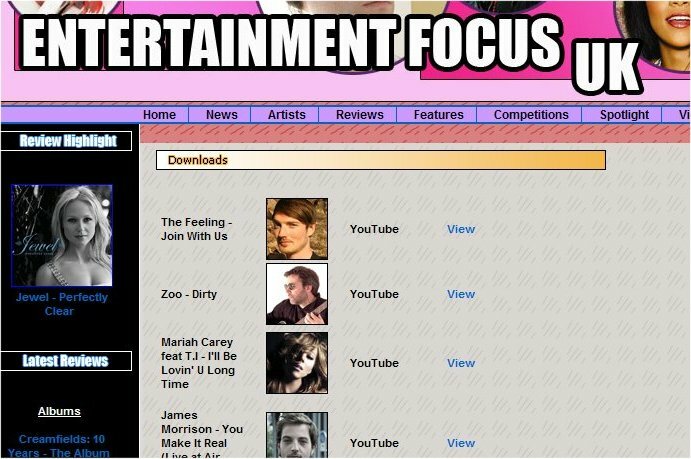 ZOO's videos of 'Dirty' and 'Leave it all behind' are topping the Audiotube charts! Thanks to everyone for watching and listening. ZOO are now part of the Audiotube video portal. Find us on the Red Admiral Channel in the audioblog, and the videos for 'Dirty' and 'Leave it all behind' can also be found on the main Red Admiral Channel. ZOO are delighted to announce some new gig dates on 2nd May (Cheltenham Jazz Fringe), 6th June (Bournemouth) and 4th July (Rutland private party) - details on the Gigs page. ZOO work with ace trumpter Nick Smart at our first collaboration workshop, as part of the EMJazz "Rhythm-a-ning" project. ZOO renew their working relationship with LightEngineFilms, shooting a video for "Leave It All Behind", off the new album "End of the Telegraph Wires", at the Escucha Club in Nottingham. Pics. Video. At the same time we had some new individual and group pictures taken for the portfolio by Simon Mackney. 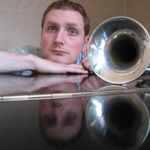 ZOO are delighted to announce collaborations with two of the UK's leading jazz trumpeters. The outcome of being selected for the EMJAZZ "Rhythm-a-ning" competition (see 23rd November 2007) is to rehearse and perform with Nick Smart between March and May 2009, culminating with performances at or around the Newark Jazz Festival. ZOO play two gigs: at The Yardbird, Birmingham and Dexter's Jazz Club, Nottingham, to pre-launch the new CD "End of the Telegraph Wires". Huge thanks to Tom at The Yardbird for sound, and to Jake at Dexter's for the opportunity to play there again. Also to Brian for the superb photos. We've finished recording and mixing the new CD "End of the Telegraph Wires", it has a new website: www.endofthetelegraphwires.co.uk, and it's now with Copysound for mastering and duplication. And we absolutely love it! 1st September 2008 Diary Dates: ZOO playing two gigs in Nottingham on 5th and 9th October - details on the Gigs page. 19th August 2008 Where do you file a ZOO video? The video of ZOO's second single "Dirty" is now on YouTube - check the Video page. 4th July 2008 ZOO record a video for "Dirty" with LightEngineFilms in various secret locations around Sheffield. Pics here; video here. 25th May 2008 ZOO play the Whitwick Live Trek event, in support of the Alzheimer's Society. Over £3,000 raised; pics here. 23rd May 2008 Paul catches Peter Grant at The Key in Peterborough - great voice, great band and great atmosphere. 20th May 2008 ZOO play Dexter's Jazz Club in Nottingham. Pics here; thanks to Jake for the return invitation. Whilst in the USA, Karen gave a live interview on The Que 98.2 Internet Radio station, with DJ/artist Airomee Wind and James Thalman of the Deseret News. Que 98.2 currently have the new single "Dirty" at No.2 on their playlist. "Annie" has also been added to their playlist. "At number two this week 'Zoo' with their song of growing popularity 'Dirty' made it to number two this week. We'll be interviewing Zoo live on The Que 98.2 on 'Jazz Class' live Sunday evening at 9PM MST/Utah time"
ZOO play a private event at the Norman Cross Gallery near Peterborough. Pics here. Thanks to Derek and Mary for hosting the event, and the brilliant audience. 21st April 2008 ZOO are added to the playlist roster of Que98.2 FM internet radio in Utah, broadcasting from 3pm to 4am UK time. ZOO's new single "Dirty" gets national radio play on Tom Robinson's programme on BBC 6 Music. ZOO play two sets at The Little Theatre in Leicester. Pics here. Thanks to Jan for organising and promoting the event, and the staff at the Theatre. Radio play for the new single "Dirty" on Rutland Radio's chart show. 6th March 2008 ZOO announce another gig at Dexter's Jazz Club in Nottingham - 20th May. Details on the Gigs Page . This will also be where we launch our next single, "Dirty", from the "Greenhouse" CD. ZOO have started to use Photobox to store pics from gigs, recordings and rehearsals. We'll gradually move all our Gallery Images there, but for now pics from our recent gigs at Nottingham and Stamford can be found at http://www.photobox.co.uk/album/7713082 and http://www.photobox.co.uk/album/7713120 respectively. 20th February 2008 Vote for ZOO! At the Parliamentary Jazz Awards: http://www.jazzservices.org.uk/, by 28th February. 10th February 2008 ZOO are delighted to announce that they will be a playing an invitation-only event at the Norman Cross Art Gallery near Peterborough, on 26th April. Details on the gigs page. ZOO play a set at the Boomerang Returns Club in Stamford. Thanks to Graham and Bernard for sound and stage assistance, our fellow performers Vicki Clayton and Andy Whittle, and Rachel, for getting us the gig in the first place and bringing a crowd of friends! ZOO play two sets at Dexter's Jazz Club in Nottingham. A big thank you to the friendly and enthusiastic audience, and especially to Jake for inviting us, and Brian for taking photographs which should be on the site soon. 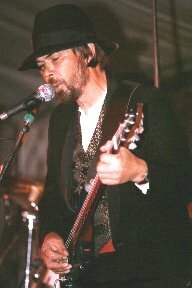 21st January 2008 We're now delighted to confirm that the line-up for the Boomerang Returns gig in Stamford on 9th February will include Andy Whittle and Vikki Clayton. See the Gigs Page for more. ZOO are now listed on the JazzCDs website, from where you can buy the "Greenhouse" CD. Thanks to Maisie for helping to set it up. ZOO have signed onto the Unsigned Chart website, and uploaded music files and photos. ZOO catch the excellent Geoff Gascoyne Project, featuring Jamie Cullum, Sebastiaan DeKrom, Trudy Kerr and The Juno String Quartet, at the Derby Assembly Rooms. 20th November 2007 Advanced diary dates: ZOO will be playing 2 sets at the Little Theatre in Leicester on 21st April 2008, and 2 sets at Dexter's Jazz Club in Nottingham on 5th February 2008. More on the gigs page. 8th November 2007 Reg is interviewed by Derby Evening Telegraph for an article appearing on Saturday 10th November. "Suddenly" will also be on their website as a non-downloadable mp3. Read the interview here (Derby ET) or here (on the Zoo website). ZOO win the Best Jazz Artist category at the Glasswerk New Music Awards in London. Thanks to everyone for their support and votes in the earlier rounds, and also to all the artists, bands, organisers, promoters and staff at AKA London for a really excellent evening. Pics in the Gallery. 15th October 2007 "Suddenly" from the album "Greenhouse" is released as a single. ZOO have a page on the new Listen2Listings.com website, to promote gigs and 'build the fan base'! Some good news - our soon-to-be-released single "Suddenly" will get some airplay on Rutland Radio this Saturday, 6th October between 6pm and 7pm. Thanks to Graham Wright at Rutland for his continued support. 30th September 2007 ZOO have set the ball rolling on their next recording project, selecting 18 potential tracks for inclusion on the new CD. We'll start laying down the backing tracks at an intensive studio session soon. Well...ZOO very nearly made it onto BBC Radio London's "Late Show" midnight session this Thursday...but they've decided not to include any more live performances. Very advanced notice: ZOO and guests will be providing music at the Stamford RiverCare River Day on 1st June 2008. ZOO are finalists - i.e. in the TOP THREE - of our THREE categories at the Glasswerk Music Awards - 'Best Jazz Band' and 'Best Use of Instruments' and 'Best Trio'. Naturally we're a bit chuffed! Thanks to every single person who voted for us...now it's up to the judges. We'll be at the awards at AKA London on October 17th, so expect some photos here soon after! Advance notice: the track "Suddenly" from the "Greenhouse" CD will be released as a single on 15th October 2007. AND are in the top 12 for the other two categories 'Best Trio' and 'Best Use of Instruments'. This Final Round voting is by text only. All texts cost £1.50 and 10 lucky voters will receive a free copy of 'Greenhouse'. Please note: this service will cost UK£ 1.50 per transaction/entry. This is not a subscription service. You must be 18 or over in age and have permission from the bill-payer. Standard operator WAP, GPRS and SMS costs apply. Service is available only to UKcustomers/networks. Please make sure that your phone is compatible. Pre-pay users ensure you have enough credit to receive texts. Orders usually take a few minutes to arrive but delays can be caused by network congestion so please allow up to 24hrs for delivery. You may receive info/offers from the service provider. If you do not wish to receive these offers you may opt-out by writing to us or replying to any message with OPTOUT as the message content. Full terms & conditions can be viewed by going to www.3bill.com/eut. You can contact us by calling Customer Services on 44870 490 9808. Voting closes on Sept 17th. The award ceremony takes place at AKA London on Oct 17th. ZOO now has a SNOCAP MyStore page, where you can listen to and buy tracks from 'Greenhouse'. If we get enough votes, we get to appear as part of the tour at these venues. ZOO catch the award-winning guitarist Martin Taylor at an intimate gig in Lincoln Cathedral. ZOO support the Cascade Dance performance of "Unravel" at the Lava Bar in Tunbridge Wells. Thanks to Tom, Sam, all the dancers and an appreciative audience for an excellent evening of dance and music. We look forward to working with Cascade Dance in the future. And thanks to Colin for coming to see us! Pics here. ZOO catch the awesome Steely Dan at the NIA Academy in Birmingham. Looking good in the Jazz section - ZOO are the only seeded band, with only 3 other acts appearing in R1 so far. In the 3 Piece section, ZOO are 3rd on list of the leaderboard of seeded acts (out of 25). And in Best Use of Instruments section, ZOO are 2nd on list out of 10.
and then vote here: www.musicfinity.com/zoo. Thank you! Listen to - and buy - 'Greenhouse' tracks on i-Tunes. 19th June 2007 ZOO are delighted to announce a collaborative performance with Cascade Dance in Tunbridge Wells, Kent, on 21st July. The venue is the Lava Bar on St Johns Road, TN9 4PE - map; flyer (jpg, 190k). ZOO play Envirofest at Rufford Country Park. The rain held off, and a number of bands and dancers entertained the crowds in the courtyard of Rufford Abbey, before ZOO closed the show, with David Ives guesting on flute. Pics here. ZOO play the Stamford RiverCare event. A perfect day of warm sunshine and light winds complemented ZOO's new jazz grooves, David Ives' jazz piano solo spot, and Scott and Sebrena Riley's acoustic soul set. The audience lounged on the grass and soaked up the music (and probably the contents of the beer tent next door! ), and it was a great day for all the charities and environmental groups who attended. Pics here. 1st June 2007 ZOO feature in a short article in Peterborough's vibrant new "Art and Soul Magazine" - read it here. and then hit the vote button on ZOO's page - www.musicfinity.com/zoo. The awards ceremony is in October at AKA London. Thanks for your votes! We have more details about who will be joining us on stage at the RiverCare event in Stamford on the 3rd June: Scott and Sebrina Riley. "Sebrina has a sound that has been described as Acoustic Soul. Heralding from Birmingham this young 26 year-old has already performed on BBC radio, as well as in Londons Leicester Square. Her future is definitely one that will be a bright one!" and was launched at the Normanton Acoustic Club the following day. We also played two new tracks - "White" and "Disguise". Big thanks to John Montague and everyone there for a great evening. Pics here! 26th April 2007 Vote for ZOO on the Stamford Mercury website! That way we'll be guaranteed a slot at the Riverside Festival on 7th July. You may want to listen to some of the mp3s on our site, rather than their rather ropey version of "Wilderness"! Also, downloads of "Dirty" and "This Time" from Greenhouse can now be found on Z00's MySpace. 23rd April 2007 New gig dates: Normanton, 8th May; Durham, 18th May; Envirofest at Rufford, 17th June. More info on the Gigs page. 21st April 2007 Private party in Mansfield. 27th March 2007 Check out ZOO's new page on the MusicFinity website...and vote for us! ZOO played a 30 minute set as special guests of the Grand Central Chorus at a Charity Show in aid of 'Coping with Cancer', at the 'Y Theatre' in Leicester. A few Zoo firsts: first gig in a theatre, first gig with a curtain, first gig that required us to set-up in ten minutes, and de-rig in five minutes, behind said curtain, first gig with a dressing room! We had a great time! Thanks to Mick for asking us, Ron for impeccable management, Len (the compere without compare! ), and Steve and Martin at the Y for stage and light assistance. Pictures in the Gallery. Well, now that everything's been signed, we can announce a deal with Red Admiral Records. Greenhouse will be released nationally on their label - check out your local record shop soon. At the same time, we've signed a publishing deal for the tracks on Greenhouse with Cringe Music Publishers. And we're on the verge of sorting out the promotion of the new album...more soon. Meanwhile, we've had the glass master of Greenhouse from CopySound for checking, and as soon as we get the MCPS codes, they'll be pressing the first batch. Finally: David Ives plays flute on some of the Greenhouse tracks; he also plays a mean piano: check out his YouTube PianoCam! We've finished mixing the Greenhouse CD, and it will shortly be going to CopySound for mastering and copying. The artwork for the CD is also nearly complete. We also have some exciting news about a publishing and distribution deal with a record label, but more on that when everything's agreed. Happy Zoo Year from the ZOO team! Party ZOO! We play at Rachel's birthday at Barrow House on Derwentwater in the Lake District. Pics here. With classic synchronicity, the band catch the same performers at two different venues: Paul sees John Montague and Diane Ponzio at Stamford Arts Centre, just a few days before Reg and Karen see them at the Normanton Acoustic Club. And if YOU get a chance to see them, take it - superb playing and singing. ZOO are delighted to be playing two sets at the YHA's Barrow House in the Lake District on 11th November, to celebrate Rachel's birthday. Rachel booked us for the Stamford Rivercare 2006 event having seen us at the Stamford Riverside Festival in 2005. Speaking of Rivercare, the 2007 event will be on Sunday 3rd June, and ZOO (and friends) will be back! Plus we're very pleased to be performing as special guests of the Grand Central Chorus at a Charity Show in aid of 'Coping with Cancer', at the 'Y Theatre' in Leicester city centre, on 17th March 2007. Meanwhile, work continues on mixing the Greenhouse CD, which is progressing well. And we're busily writing new material for the next album! ZOO play two sets at Envirofest at Rufford Country Park. Once again the weather was kind, and the crowd enjoyed sets by ZOO, Elmoe and Tamara Reeves. Pics in the gallery. Thanks to all involved, and especially Sean for the sound, Huw & Claire for photos, and the staff at Rufford. ZOO play the Acoustic Lounge Summer Session at the Smoke Rooms in Clapham, London. Forced indoors into the upstairs lounge by the increasingly violent 'summer' weather, we nevertheless had a great time at this lovely and unique venue. Big "Thank You's" to everyone there, particularly the other singers and players, and especially to the Lounge Team of Alastair, Craig, Darrel, Sam and Simon, who made us feel very welcome and did a great job on our sound. And special mention to Diane for supporting us and taking photos...pics in the Gallery. It's with great sadness that we learn of the deaths of brothers Terry and Tony Dixon, in a fishing accident on the Welsh coast. Terry and Tony were talented musicians, Terry being the front-man and Tony being the drummer in the Jake Salu Band, which had great local success in the late 1990s. Our thoughts are with their families. Another date for the diary: continuing the ZOO 'summer season' of Sunday afternoon open air mini-fests, we'll be at the Ufford Ales Beer Festival, at the White Hart in Ufford, near Stamford, Lincs, on Sunday 30th July. The beer fest will be open from 12 noon until 6pm, and we'll be playing from around 2 until 5:30. More on the Gigs Page. "I suspect that anyone who enjoys contemporary jazz will already be familiar with the work of Zoo. The trio from Derbyshire come across as highly polished professionals with their feet stuck firmly in the style of music they obviously love. Everything on this CD oozes of class, from the exquisite musicianship, stylised vocals, crisp and clear production and packaging. A quality piece of work and must have for all jazz lovers." ZOO play the Deepdale Food and Drink Festival in beautiful North Norfolk; pictures in the Gallery. Thanks to everyone who kept their fingers crossed for fine weather...Sunday 4th June was a glorious day, and the RiverCare Event in Stamford was a great success. Pics of ZOO and Ayla in the Gallery. Not-so-advanced gig notice - we'll be playing all afternoon at the Deepdale Food and Drink Festival, on the beautiful North Norfolk coast, on Sunday 11th June. Details on the Gigs page. Latest news on the Rivercare gig (4th June in Stamford, Lincs): we're delighted to announce that Ayla Schafer will be guesting. Ayla is an incredibly talented singer/song-writer/guitarist/pianist who has recently worked in the studio with Reg and Karen. Another gig confirmed: Sunday 2nd April 2006 at the Glasshouse in Derby (formerly the Vida Cafe Bar). Kick off 8:30pm; lots of new material to showcase. Details and flyer on the Gigs page. Now cancelled due to a double-booking at the venue. In an intensive 3-day stint in the studio, ZOO lay down the basis of the next CD and EP project, code name "Greenhouse". The foundations of 19 tracks are recorded, representing the cream of the band's collective writing over the last year. More pics in the Gallery. An advance date for your 2006 diary: ZOO are delighted to be playing at the Welland River Day, an event organised by the Stamford RiverCare Group, on Sunday 4th June 2006. More details on the Gigs page. Another gig date confirmed: Sunday 18th December at Vida in Derby. Details on the Gigs page. Plus: Karen's been working on video projection sequences, Reg has got a new job as a Youth Music Worker with Notts County Council, and Paul is teaching guitar. It's all go at ZOO! ZOO catch Madeleine Peyroux at Warwick Arts Centre. Some lovely playing and singing by this very talented lady. "Big Rain", "A-19" and "In Different Places" have been approved for distribution on the iSound site. This means the songs are available on all sections of the web site, not just our artist's site. Cool! We're sorry to hear that Brian Marrs of Worcester's superb venue The Marrs Bar has had a motorcycle accident and will be laid up for a few weeks. Take it easy, mate, and get well soon. Reg's involvement with The Works Rockschool Project culminates with the Showpiece Gig and A&R Industry Seminar in Worksop. Details at The Works website. Work starts on the new CD project - working title "Greenhouse" - with the selection of tracks. It's been a prolific year, and tempting as it may be to produce a 3-disk compilation, we've identified 14 definitive tracks to start recording. Welcome back! We hope you've had a good summer. 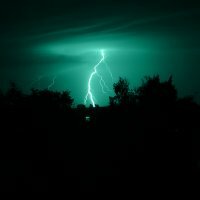 "iSOUND.COM is creating the ultimate online music community. Whether you are a fan, a musician or a record label, we are the place to be for all that is music online." We catch Antonio Forcione and his Quartet at Southwell Minster - a truly breath-taking display of musicianship in a truly magnificent setting. Another ZOO date for your diary: after a summer break, we're back at the Vida Café Bar in Derby on Tuesday 18th October. More details on the gigs page. ZOO play the Derby Beer Festival at Ye Olde Dolphin Inn - pictures here. ZOO return to the excellent Stamford Riverside Festival - pictures here. Ben Folds visits De Montfort Hall in Leicester to play the gig postponed from last November, and treats us to a storming performance of material from the new album, and favourites from previous releases. Thanks, Ben - well worth the wait! Another gig: we're playing at the Derby Beer Festival, in Ye Olde Dolphin Inn, on Wednesday 20th July. Details on the Gigs Page. We learn that Andy Hawkins, our good friend who recorded and engineered 'Sinistra' and 'Discovery of Land' at Five Mile High Studios in Peterborough, is moving to Leeds to join the Pravda studio. At some time in the future we'll work together again; in the meantime, good luck and best wishes, Andy. ZOO play the Vida Café Bar in Derby: great place, great people, and a real possibility of regular gigs there. Pictures here. A festival date for your diary: we're playing Stamford Riverside Festival again, on Saturday 2nd July. Details on the Gigs Page. We're hard at 'work' writing and rehearsing for the next CD, plus listening to new quality output from a variety of artists, including Doves and Madeleine Peyroux. Some site changes - we've updated the Links page to be more useful, removed a few obscure image links, and we'll be changing the Gallery page to be more, well, interesting! Stay warm! And vote for Kim: 09011 2112 01! A gig date: Sunday 22nd May, at Vida Café Bar in Derby. Details on the Gigs Page. Catch Reg as an extra in BBC1's afternoon play "The Good Citizen" - he's a papparazzi photographer. Seasons Greetings from ZOO! Wishing you all a happy and healthy time. Endangered Species is mastered and duplicated at CopySound, and we are delighted with it (modesty, modesty!). Get your copy for £10 - ordering details on the Order page. We finally get to see Sting at the NEC (following his tour cancellation in May). We weren't disappointed! "Get well soon" to Ben Folds, who has just had to cancel his European tour due to a respiratory infection. We mourn the premature departure of John Peel, broadcaster, champion of unsigned bands and genuine nice bloke. Paul met John and Sheila at Newmarket Races once, and left John with a copy of Discovery of Land. Probably not really to John's taste, but we'd like to think he listened to at least one track. Read John's obituary on the BBC web site. k.d. lang appeared on BBC's "Later with Jools Holland" and only got to sing one song (a beautiful rendition of Cohen's "Halleluyah"). What a waste! Fortunately she also guested on Johnnie Walker's Drivetime BBC Radio 2 programme and played a number of songs, as well as giving a candid and good humoured interview. Work continues mastering Endangered Species. Plus one for the geeks: a change to the way the ZOO websites link to each other, and other sites: now always in the same browser window, as recommended by Jakob Neilson. If you want to open a page in a new window, right-click on the link and select 'Open in New Window'. ZOO play the Kilsyth International Carnival - pictures here. The Kilsyth Festival at Glasgow looms large on the 15th. Latest information is that we'll be playing on Stage 1 between 2.35 and 3.00pm, and then on Stage 2 between 4.45 and 5.30pm. Our set lists include long-established 'classics' such as "Extraordinary", "Driving In The Rain", "The White Room", "Not There" and "Waiting" (though extensively re-worked in their current arrangements! ), and new material from the forthcoming "Endangered Species" CD including "In Different Places", "Somewhere Else", "A19", "Big Rain" and "That's It". [Links are to mp3s, ranging in size from 1 to 2 Mb; A19 is 4Mb]. A number of the tracks include our first public use of the electronic rhythms which now feature throughout our music. Fingers crossed for good weather; hope to see you there - come over and say 'Hello'; we may be in a Zoo, but we don't bite! Work continues on the "Endangered Species" CD - launch date is end August - plus rehearsing for the Glasgow festival, plus working on new material which is destined for a new album, working title 'Greenhouse'. ZOO has also been accepted into the fopp Unsigned Network, and CDs ("In Between The Silence", and an "Endangered Species" Preview CD holding the three tracks below and "You") should be appearing in fopp's chain of shops. Brilliant! Plus some new pics in the Gallery! We've each entered a song into the BBC Radio 2 'Search for a Songwriter' competition - Karen submitted "Green & Red", Paul submitted "That's It", and Reg entered "In Different Places". All three songs are from the new "Endangered Species" CD; click on the links to hear mp3s of the tracks (all around 2Mb). We played the Stamford Riverside Festival, and had a great time. Details and pictures here. Roll on Glasgow on 15th August! Work continues with recording parts for the new CD "Endangered Species", plus yet more new material for the CD after that (including a rather cool new arrangement of "Summertime"!). It's looking hopeful that we'll be playing two 30-minute sets at Glasgow. New Gallery page created, collecting the various photos from around the Zoo web sites and coralling them all onto a few pages. Work on Endangered Species continues, with intensive writing, rehearsing and recording. A track list is drawn up, plus ideas for packaging and promotion - more on the Endangered Species web site. Two more festival dates: Stamford Riverside Festival on 3rd July and Kilsyth International Carnival (KIC) near Glasgow on 15th August. More details on the gigs page. Photo shoot with David Taylor. MP3s added from "In Between The Silence": check the Zoo mp3 list, or the track list on the "In Between The Silence" web site. Band changes: both Simon and Denise have decided, independently, to leave ZOO, citing 'musical differences'. Karen, Paul and Reg will continue with ZOO in a trio format, and would like to thank Simon and Denise for their invaluable input over the last four years. ZOO continue to edit and refine the new 12-track CD "In Between The Silence". Web site make-over: new photos, mp3s, etc. ZOO gig with Lorna and Silverman at the "Marrs Bar" in Worcester. ZOO perform in Nottingham as part of the Radio 1 'One Live' Event.